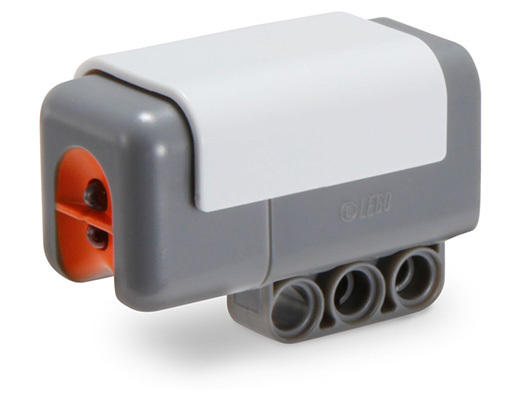 Using the NXT brick, the light sensor is able to sense light or dark as well as light intensity in a room. It is also able to measure light intensity in colours (grey scale sorting). You will need a connector cable, which is included in the 9797 Base Set.